Over the last few years we have reviewed a number of powerful presentation tools to use with students in class. These include tools such as Haiku Deck, Prezi, Google Presentation, Keynote to mention but a few. Today we are bringing to your radar two more presentation tools with huge educational potential. You can use them to design visually attractive presentations that include a wide range of multimedia content such as text, sound, videos, images, PDFs and many more. They also allow remote presenting allowing you to project your presentations to a bigger screen and remotely control them while going around in the class. And in the case of Swipe, you will also have access to interactive features to poll and gather feedback in real-time from your audience. Swipe is an excellent presentation platform to use in your instruction. 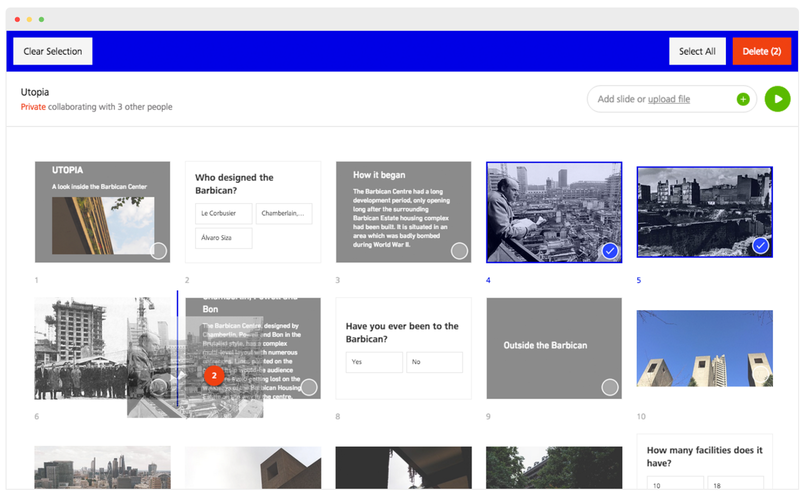 It allows you to upload your existing presentations or create new ones from scratch and share them live with your students through a generated link. Swipe works across different devices and browsers allowing you to project your presentation on a bigger screen and remotely control it via your mobile device. You will also have access to a number of features to interact with your audience and get their feedback through interactive polls. Other interesting functionalities provided by Swipe include:upload PDFs and images (no limit on file size), create slides with markdown, a responsive interface that adjusts the content of your presentation to any size screen, include videos (from YouTube and Vimeo) and web content to your decks, work with collaborators by allowing them to edit, present or just view presentations, get stats about who has viewed or is viewing your presentations and many more. This is another good presentation software that enables you to create interactive multimedia-driven slideshows to share with others. FlowVella provides you with a set of professionally-designed templates to choose from. These include: video presentations, reports, portfolios, photo galleries and many more. 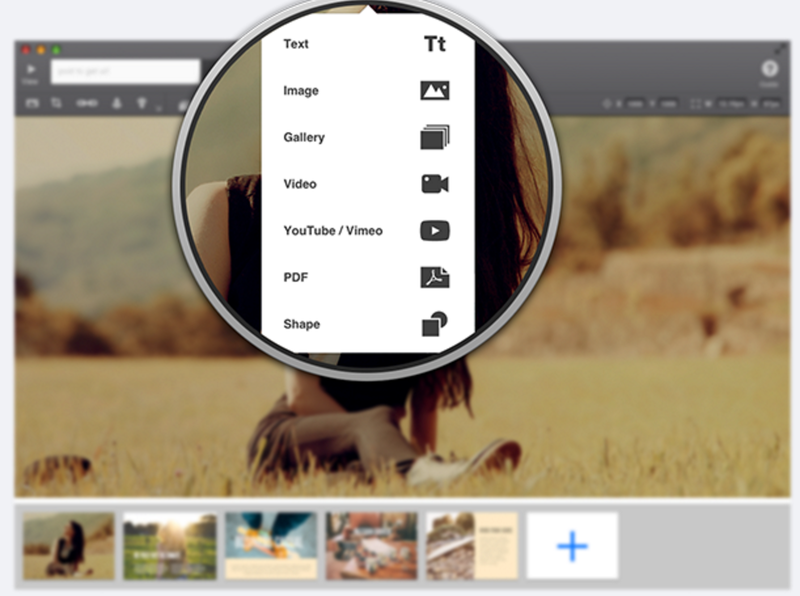 With a simple drag and drop you can include photos, videos, sounds, text, GIFs, PDFs and images from major cloud based services like Google Drive and Dropbox right into your Flows. Additionally, FlowVella works offline allowing you to create presentation without Internet connection. All your Flows can be shared via a customizable link that works across different devices. Other sharing options include: print via AirPrint, export to PDF, embed link, and share to social media network. Remote presentation is also supported. You can present straight from your iPad, connect to a projector, or use AirPlay.